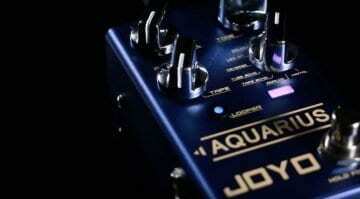 Joyo D-Seed II digital delay/looper pedal: The ideal entry-level echo effect? 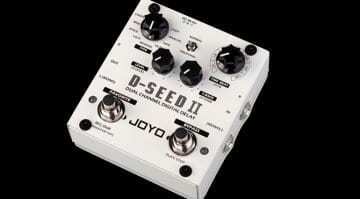 Joyo's new D-Seed II is a stereo digital delay that's pretty feature packed given the price of under USD 90. 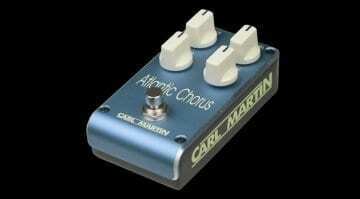 Could this be the perfect delay/looper for newcomers to echo-type effects? Many associate the "Civil War" Big Muff with David Gilmour's sound on Pink Floyd's Pulse. 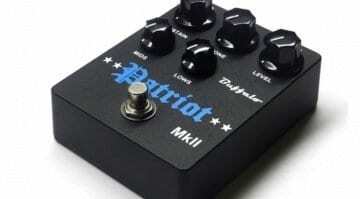 Now you can get closer with the Patriot MkII fuzz - without having to shell out wads on the used pedal market. 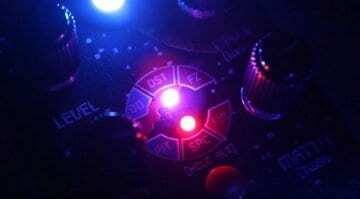 Two more Fender effects pedals have been leaked by CME. 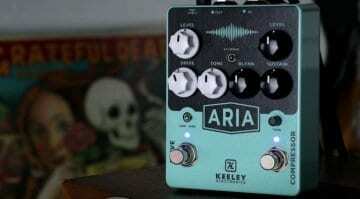 These pedals use DSP to mimic some of the company's classic amp tones and one adds a stereo rotary speaker emulator to its pedal range. 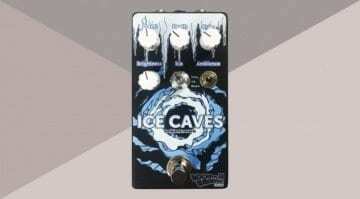 The new Ice Caves Ambient Reverb pedal is an Arctic-themed take on reverb pedals with a unique set of parameters for those that like to get more experimental with their 'verb. Frosty! 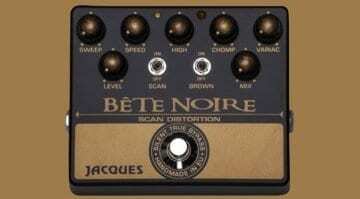 Jacques Pedals Bête Noire – Classic Plexi tones plus modulation = Van Halen? This new pedal from France combines classic rock amp tones with phasing effects and tries to emulate that infamous 'Brown Sound' of all those classic Van Halen records. 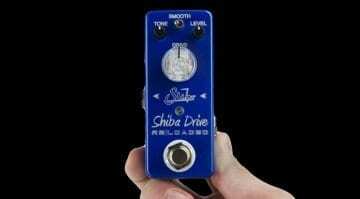 The new Shiba Drive Reloaded Mini overdrive pedal is the latest incarnation of Suhr's popular drive effect and now it comes in a smaller, more pedalboard-friendly format for 2018. 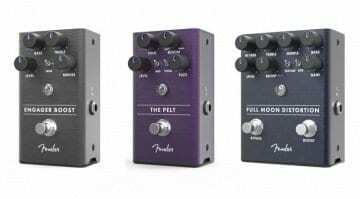 Fender presents three new pedals Engager Boost, The Pelt Fuzz and Full Moon Distortion, which complement their existing line-up and have again been designed by Stan Cotey. 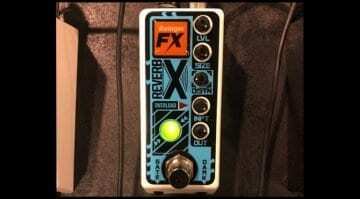 Alexander Pedals Defender – Retro ’80s Videogame or whacky effect? The Alexander Pedals Defender combines a whole heap of effects into one little pedal, with noise mangling retro '80s bleeps and quacks available for the masses. Could this 'Stargate Drive' be the one for you? 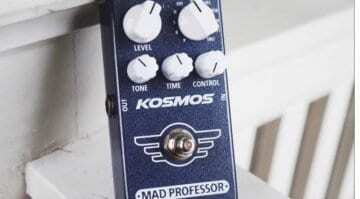 This little blue box manages to squeeze 11 different time-based effects into its tiny frame, not unlike Dr Who's TARDIS. But will it travel the cosmos in style or take you on a random journey? 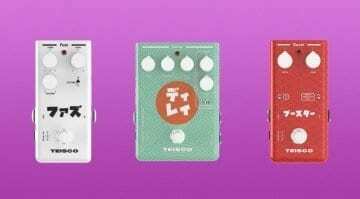 The old Japanese brand Teisco has been relaunched for 2018 at NAMM with three new effects pedals heading up the newly revived company. But are they retro chic or cash-in nonsense? 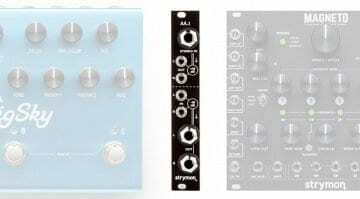 Rainger FX has been creating madcap effects pedals again, the new Reverb-X and Igor are all about what happens when you do something wrong, but it sounds so right! 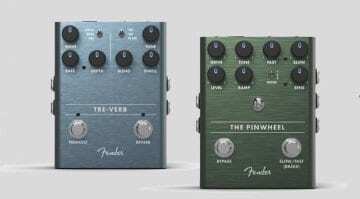 Fender has decided to launch a new all original effects pedal series, with brand new designs featuring a cool new magnetically-latched battery door system and rugged aluminium enclosures. 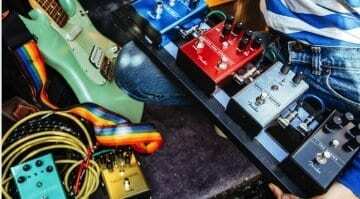 Robert Keeley is launching a new compressor/overdrive pedal at this year's NAMM Show, and let's face it, he knows a thing or two about compressors and drive tones.